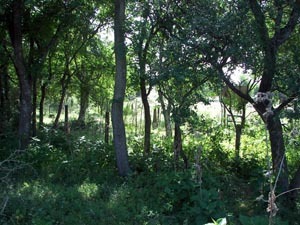 Hover over photos for a description of the photo. 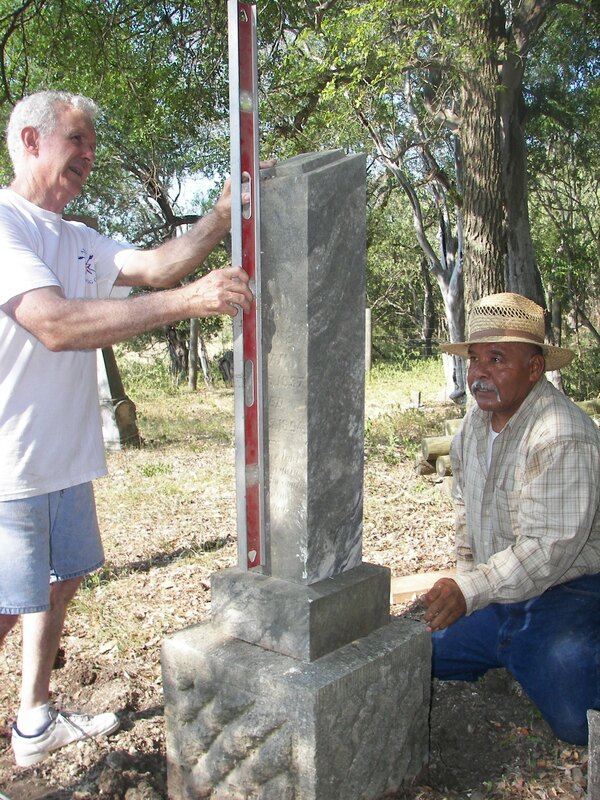 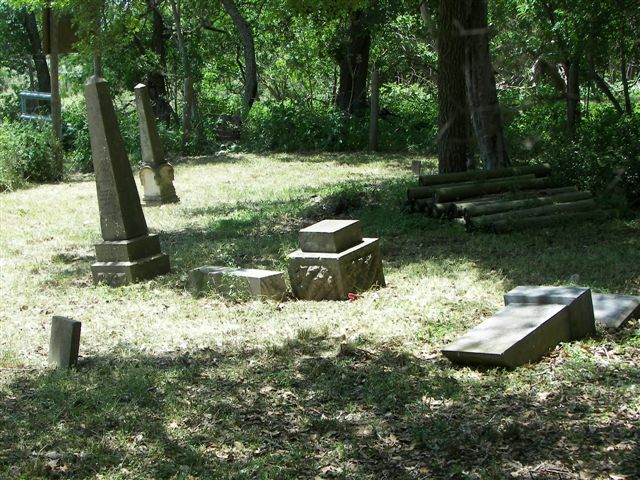 Restoration of this cemetery by San Marcos-area Boy Scouts was first reported in the 1994-revised Hays County Cemetery Inscriptions book, researched and written by Dorothy Kerbow and Joe Ann Elam Hearn. 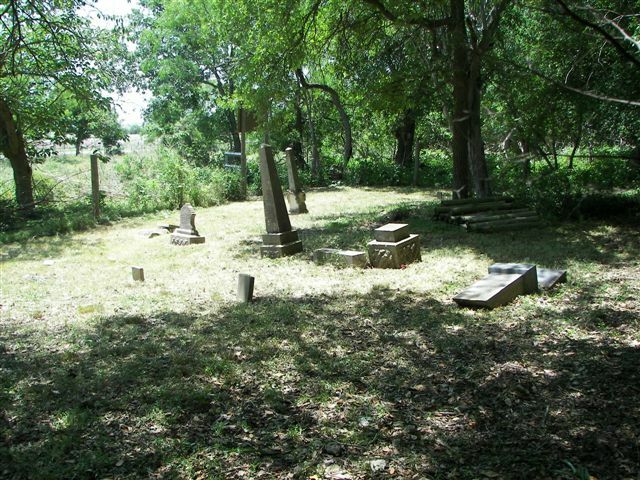 A late Summer 2007 Hays County Historical Commission visit found that the site, while fenced to keep the landowner’s cattle out, had again become overgrown. Landowner Eugene Herry offered to apply herbicide and did so, to good effect. 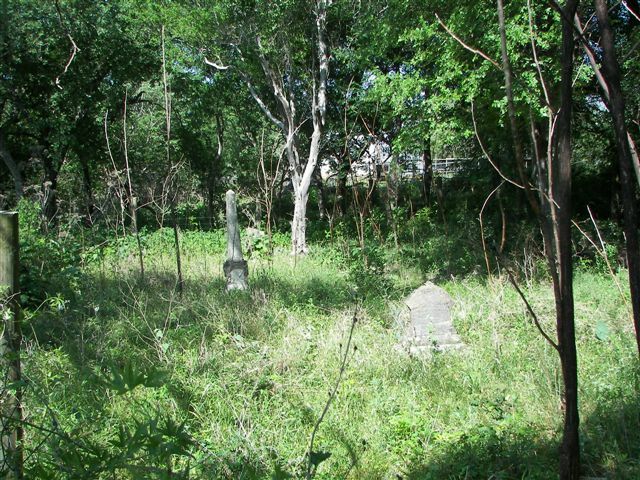 The HCHC arranged for a Saturday morning visit on May 3, 2008, and followed up with a work day that accomplished the complete clearing of all underbrush, overgrowth, and fallen wood in the historic cemetery. It should be noted that several yards outside (north side) of the area fenced by the Boy Scouts in the 1990s, there remain a pair of apparent burial sites, one with four weathered (but obviously hand-sculpted) fence posts, one with only one post and rotting gate materials. 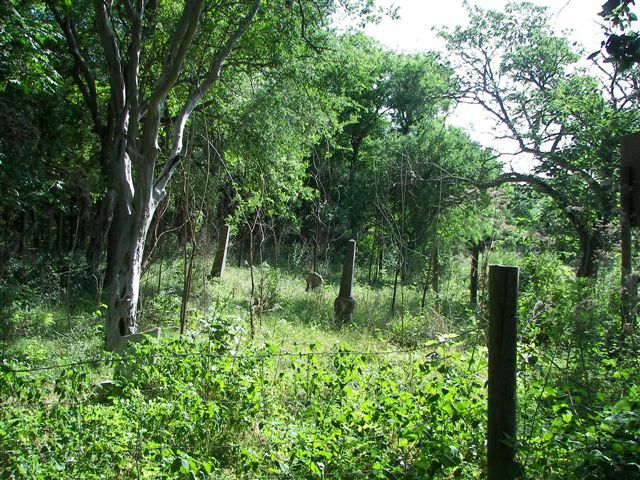 These likely burial sites and their wooden materials were not contained by the 1990s-era Boy Scout fence and continue to rot, as well as being exposed to occasional passage of cattle. In 2008, one (obelisk-shaped) tombstone, while still standing, has lost all traces of its original inscription, one stone is broken in two (pieces intact), and 2-3 are toppled off of their bases. 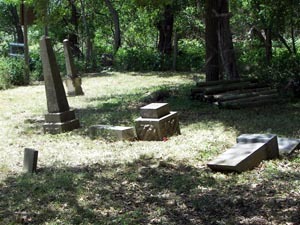 Plans are being made to restore these toppled stones to their bases and to level them. 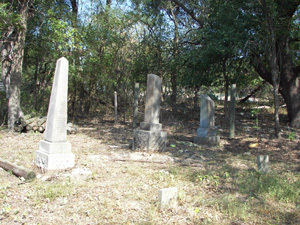 111 E San Antonio St.